May I have your attention please! Direct your attention to Foxy, our latest addition to the Farm. While not so little (70lbs), she somehow manages to sneak inside your heart and take up residence there. This young lass has a past, but through the hard work of the farm hands she has made great strides. Her confidence has soared and the insecurities that plagued her before are slowly disappearing. During the 8 weeks Foxy has spent with us, she has learned to trust. She came to the farm frightened and reactive to just about everything around her; a passing walker, another dog, even the wind blowing a leaf. The fresh air coupled with the hard work of farm life have made Foxy a true champion of her fears. Foxy cruises past kids on bikes, ladies in mobilized scooters, and finds the wind in her hair relaxing now. She has a nose for chores and has been a quick learner around the farm, mastering all basic obedience (sit, down, place, heel). To describe Foxy’s ideal future forever life, her foster Mom has this to say: Finding undivided attention by a couple or single would suit Foxy’s desire for being the center of your world. She’s a love bug, although a bit pushy for attention. She will nose you if you stop petting too soon. With this in mind, she would excel in a smaller household where she can be in the spotlight. 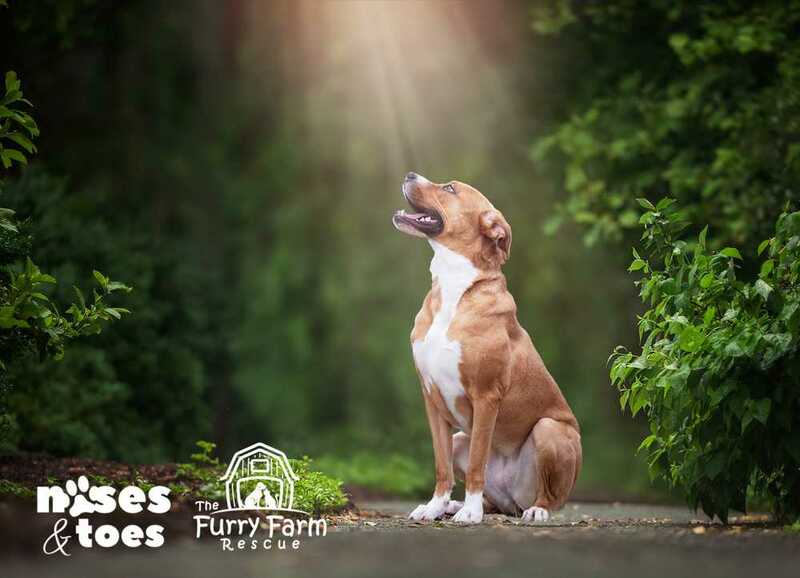 With her desire to be your sole source of attention and snuggles, Foxy would be best around a more mature balanced dog to share her humans with. No small dogs, cats, or children please. Her energy level is moderate, loving a good walk and play through the woods only to come in and nap while you watch the discovery channel.